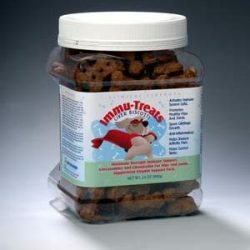 The Safest and Most Effective Natural Way to Remove Skunk Odors. Almost everybody is familiar with the distinct smell produced by skunks when they are provoked or frightened. This terrible smell is caused by a chemical called 2-butenethiol. Skunks do not like their own smell and they spray only in self defense. They are not aggressive and they don’t spray where they live. They put their tail straight up to look bigger for self-defense. When they are ready to spray, they put their tail completely over their face and they aim for their enemy’s eyes. Skunks can spray 15 feet with extreme accuracy. The spray burns the eyes and can temporarily blind their victim. It is important not to handle skunks because they can carry rabies and distemper. 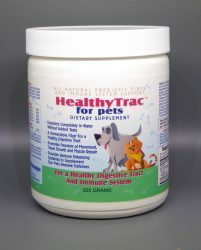 If you or your pet are bitten by a skunk, wash out the wound completely for at least 20 minutes with a high potency antimicrobial soap. Skunks are generally not dangerous, do not live where dogs reside and do not live with where their food source is located. Big attractions for skunks are pet food, bird seed, BBQ grills, garbage cans, compost, gardens, fallen fruit, piles of brush, lumber or rocks and openings under houses, decks or sheds. 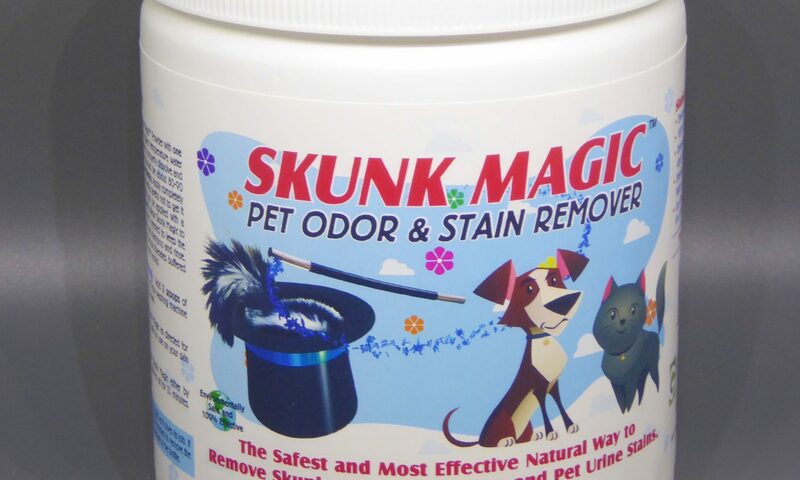 Skunk Magic® can also be used to remove skunk smell and stains from clothes, skin and any other contaminated areas. 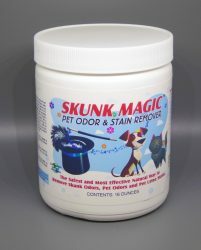 Skunk Magic® is also perfect for pet odor removal from your pet or its bedding and is perfect for the complete and permanent removal of pet accident odor and stains. Skunk Magic® is safe for use on all colorfast fabrics except silk.